Home Cat Care What is Feline Acne and How to Cure Them? Feline acne is a very common disorder that affects the skin of most cats around the world. The characteristics of feline acne include the presence of blackheads on the chin and lips. Acne can affect both male and female cats of all breeds. It can develop at any age in cats. The main cause of feline acne is the over working sebaceous glands that are more on the lips and on the chin. The pores on the skin get blocked due to excessive oil and dirt. Cats with oily skin face this problem more as compared to other cats. This condition can be mild and sometimes go unnoticed. Large numbers of sebaceous glands are found on the lips, chin, and base of the tail and also on eyelids. The oil glands lubricate the skin and prevent dryness and resulting in irritation. These glands are joined to the hair follicles. 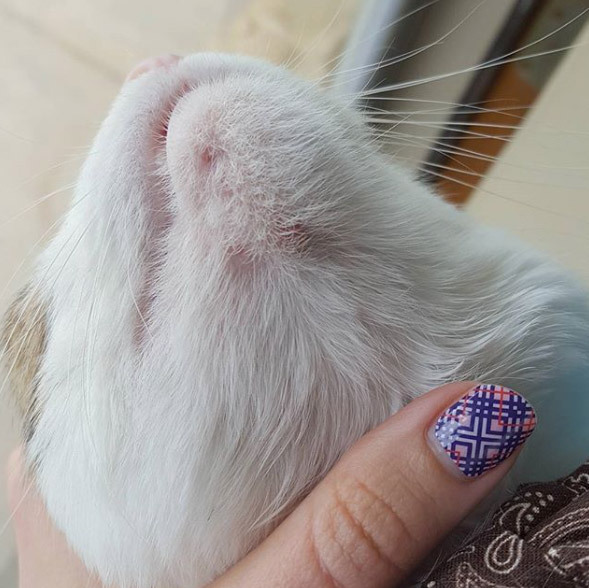 The sebaceous glands play an important role in marking territories and you must have noticed cats rubbing their chins and face on different objects to mark their territory and show their authority. Regular rubbing can lead to greasy patches on the skins surface. What are the Causes of Feline Acne? The main cause for acne in cats is not clearly known. There are many different reasons that can cause acne in cats. The following are some of the prime causes for feline acne. Stress: Stress triggers the release of hormones that can lead to excessive secretion of oil from the sebaceous glands. 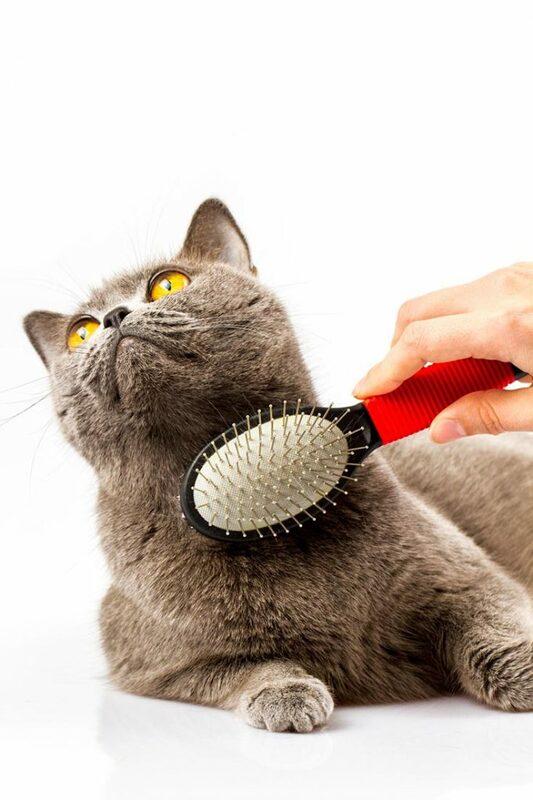 Poor Grooming: It is very crucial to keep your feline friend properly groomed for a healthy physical appearance. 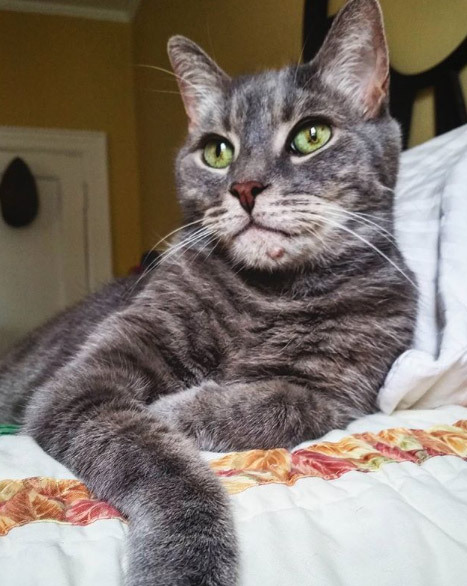 You need to clean the chin and other regions of a cat’s body that can be affected by acne on a daily basis. 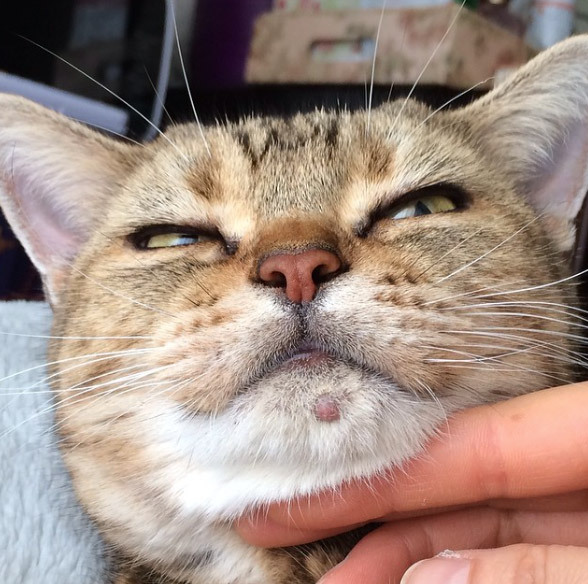 Highly active sebaceous glands: Overactive sebaceous glands due to hormonal changes in cats can also trigger production of uncontrolled oil. Excessive oil leads to formation of dirt and finally acne. Plastic Food Bowls: The use of plastic food bowls is discouraged for serving food for cats suffering from acne. The main reason being the plastic material is porous and trap the bacteria responsible for acne and spreads to other cats. The chin is the area that comes in contact with the surface of the bowl and can easily spread the bacteria. It has been observed that some cats are allergic to the plastic material leading to acne. The symptoms include black spots on the lips and chin, which looks very similar to dirt. Secondary infection in cats include swollen and red colored pimples if left untreated can cause bleeding and irritation. More severe cases may show symptoms like inflammation, excessive itching and an angry look. You will have to take your pet to a vet for a physical examination to identify the level of severity. There are other reasons for feline acne that includes food allergies, and bacterial infections. Your vet will perform a fungal and bacterial culture by performing skin scrapings to rule out other causes of acne. The type of treatment for feline acne depends a lot on the severity of the problem. The primary aim is to remove the excess oil. If the condition is mild you may have to apply topical creams. Gentle cleaning of the affected region with an antibiotic soap, betadine, or Epsom salts will cleanse the area of any dirt, oil and bacteria. Some severe cases will necessitate the use of gel containing benzoyl peroxide. Clean the area with a damp cloth for 30 seconds before starting any treatment. The treatment for feline ace, cat acne can last for a long time. Always consult a vet before beginning any treatment for acne. Never treat feline acne with an anti-acne cream mean for humans. As they say prevention is better than cure, you need to make an effort by keeping your cat clean and healthy. Discard plastic bowls and use heavy ceramic or metallic bowls for feeding. Wash the bowls after every use. 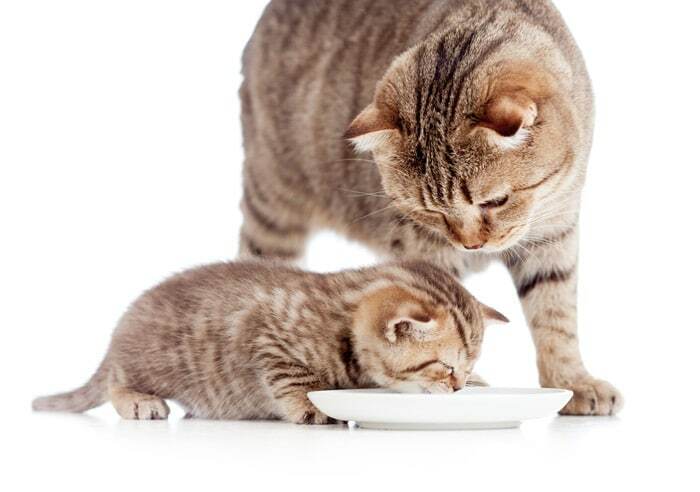 If you find that your feline friend is prone to acne, then it is very essential to wash their chin with water every time after they finish eating. A well-groomed cat always remains and looks healthy without any health issues.